Eco Efficient is one of Sheffield’s top service providers in the domestic and commercial heating industry. For homeowners looking for services touching on boiler installation and maintenance, this company provides an excellent balance of quality and pricing to ensure that any time you pay us your hard-earned money, you get a service that is worth every coin you’ve spent. Eco Efficient is a company with a lot of experience and is based in Sheffield and many other locations around the country. Any time a customer calls on us to do any work, they benefit for all the experience the company has acquired over the years as it provides its services to people all over the country. Boiler Installation: Installing a boiler is one of the most challenging tasks for any homeowner. Contrary to popular belief, this isn’t something that you should call your regular plumber to do. Boiler installation entails mounting the boiler in a locations where it is protected and also where it’s least likely to cause damage in case of a leak or something. You will need expert hands to figure out where this should be. The pipes also need to be connected while taking into account the effect of expansion when the boiler is turned on. Additionally, there are various settings that have to be configured. We can handle all of these tasks for you easily. Boiler Servicing: This is one of the things you shouldn’t overlook if you want your boiler to last for as many years as possible. Servicing addresses the small issues that arise when a boiler is frequently used such as wear and tear. 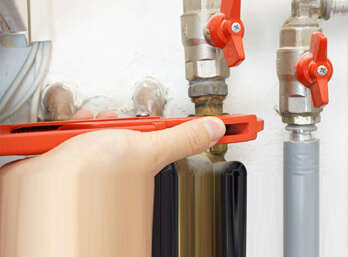 By correcting these issues early, you will be able to avoid serious damage of your boiler and costly repairs. Boiler Repairs: One of the main challenges in repairing boilers is that you never need these services at a convenient time. Boilers are more likely to fail when they are being used a lot and this is usually around winter. This is why many homeowners, in their desperation, turn to the most easily accessible solution. Luckily for Sheffield residents, Eco Efficient is much more readily available in the area and we can get to your home and have your problem taken care of faster than many other service providers. Because we insist on using high quality parts, the results of our work last longer. Central Heating Installation: A central heating system is not just a boiler and radiators in different rooms. For such a system to work at maximum efficiency, it’s important for the installation to be carried out with attention to detail. 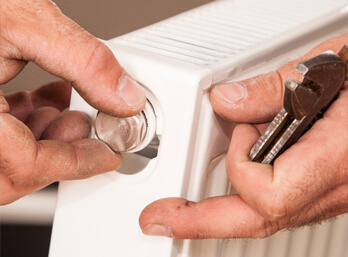 Radiators must be correctly placed and the boiler also needs to be properly installed to ensure it’s able to handle the needs of the central heating system when it’s most needed. When you come to Eco Efficient, there’s no doubt about the quality of the installation. 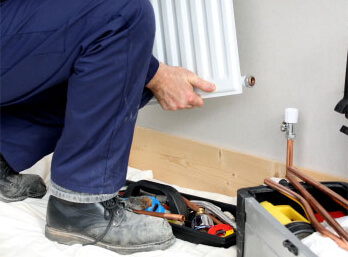 Central Heating Repairs: Just as in the boiler, repair of central heating system has to be done properly otherwise, you could find yourself patching the same problem many times. It takes a lot of experience to be able to diagnose a problem in a central heating system. Just because your radiator isn’t heating up doesn’t mean that something is wrong with the radiator. Our experienced technical personnel can pinpoint the issue for you whenever there’s something wrong with your system. This ensures that the problem is addressed correctly and you get a solution that lasts. If there are any replacements needed, you can rest assured that we will use high quality spares. Gas and Boiler Leaks: If your boiler is leaking, this could be a sign of trouble especially if the leakage is from a crack in the body. A gas leak is an even bigger problem and you shouldn’t put off dealing with either of these two problems. In Sheffield, Eco Efficient gives you a convenient solution if you ever have a problem with your boiler so give us a call today.